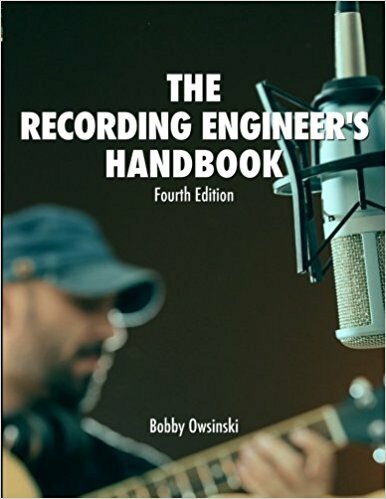 Bobby Owsinski's The Recording Engineer's Handbook has become a music industry standard, and this fully updated fourth edition once again offers the most comprehensive and up-to-date introduction to the art of audio recording. Written with special emphasis on today's technology and the evolving marketplace, The Recording Engineer's Handbook Fourth Edition includes a complete overview of recording as it's done by most musicians and producers today in their home studios. Learn the art of recording with renowned author, teacher, producer and engineer Bobby Owsinski, and, in the interviews, explore the creative processes behind not only today's hits but the classic cuts we've enjoyed for years. See for yourself why The Recording Engineer’s Handbook, Fourth Edition is the book that's a standard text in college courses all over the world.